Just as we relax our minds with a holiday after periods of stress, or relieve an aching body with a soothing massage, our skin also needs a dose of intensive care every now and then to keep it in top condition. Luckily, you don’t need to visit a spa to indulge in a pampering facial treatment. 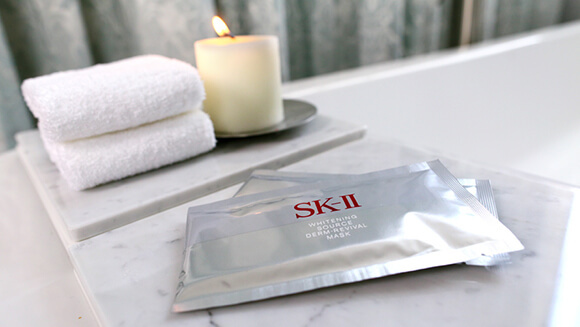 SK-II’s much-loved sheet masks can give your skin the extra special attention it deserves – whenever you want or need it, in the comfort of your own home. 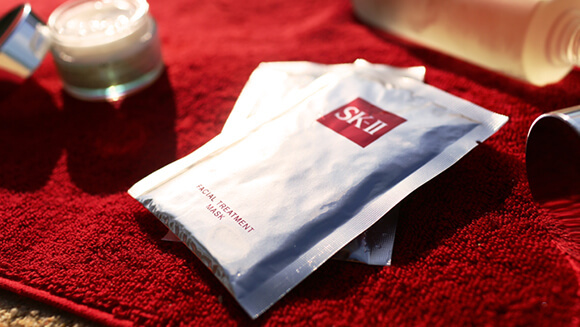 Use our guide below to learn the benefits of each SK-II mask, how to use it, and which one you should use to achieve your most-wanted skin. What it does: Enriched with a high concentration of Pitera, this mask is suitable for every skin type that craves an instant boost of hydration. Delivering maximum moisture in just a few minutes, this mask makes your skin look and feel noticeably softer, smoother, more translucent, and dewy. How to use it: Place the mask around the eye area first, then gently spread it across the rest of the face. Pat gently but firmly to ensure the mask has adhered well to the skin, and leave it on for 5-15 minutes. In your skincare regimen: After cleansing your face, apply Facial Treatment Clear Lotion over your skin using a cotton pad to tone and gently the exfoliate the skin before using the Facial Treatment Mask. 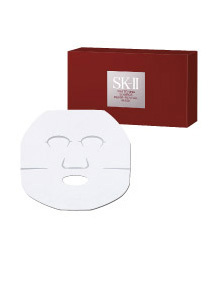 After removing the mask, use a cotton pad soaked with Facial Treatment Essence to wipe away the residue. 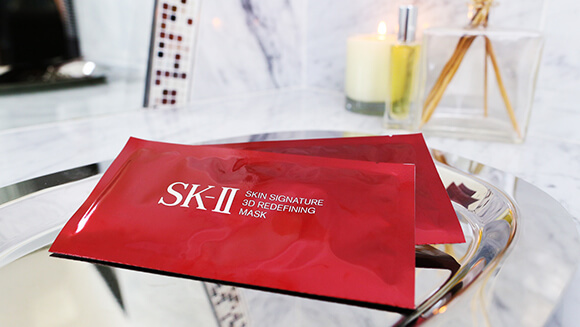 Follow the mask with an SK-II serum and moisturizer. For best results, our Global Beauty Counseling Specialist recommends using a mask on a weekly basis. You can apply any leftover essence contained in the mask pack on your neck, décolleté area, and hands. 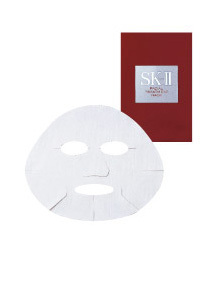 What it does: This unique two-part sheet mask contains potent ingredients that give a lifting and firming effect on the skin, resulting in a more contoured face and younger-looking skin. How to use it: Place the upper part of the mask over the eye area first, then gently stretch the sheet sideways to cover areas of fine lines around the eyes. Place the lower part of the mask over the nose and mouth area, then gently stretch the mask upwards from the chin to the sides of the face. Leave the mask on for 15 minutes. In your skincare regimen: Use the mask after cleansing and toning. After removing the mask, massage in any remaining liquid to blend it into the skin. 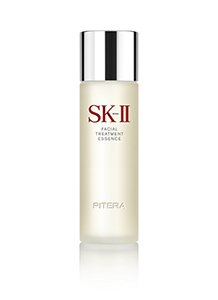 Apply an anti-aging serum and seal in the active ingredients with a firming moisturizer. What it does: Containing the equivalent of 30ml of whitening essence in a single sheet mask, this powerful mask brightens dull skin, helps reduce the appearance of spots, and delivers an instant boost of radiance for a fresh, youthful glow. How to use it: After applying a whitening serum, place the mask over your entire face. To soothe your eyelids, close your eyes and flip the mask’s eye flaps upwards to cover your lids. For a more intensive treatment on your under-eye area, fold the eye flaps downward. Slightly stretch the mask as needed to adjust to your facial contours, and leave it on for 15-20 minutes. In your skincare regimen: After cleansing and toning, apply a whitening essence before using the mask. 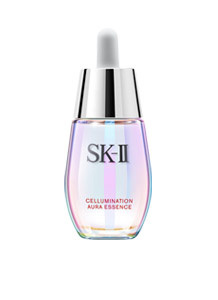 Upon removing the mask, simply massage any remaining essence into the skin, then apply Cellumination Aura Essence to further enhance your skin’s radiance, followed by moisturizer.